Change the Culture, Change the Game. Every organization has a culture, which either works for them or against them. Sounds obvious right? That being the case, why do so many organizations at times tend to ignore its impact on their results? In their excellent book Change the Culture Change the Game, Roger Connors and Tom Smith illustrate the foundational steps productive cultures are built on. On today's Voltcast, we are going to be talking with Lee Hubert from Voltage Leadership about culture, what it is, how it works and how to change it if needed to achieve the results you are looking for. Lee Hubert is a Leadership Coach, Trainer, Facilitator and Keynote Speaker with Voltage Leadership in Roanoke, Virginia. He brings energy and enthusiasm to grow leaders at all levels, help managers reduce conflict and build teams that produce results. Lee has served in various human resources and leadership development roles at Fortune 500 companies including: MCI, Wisconsin Energy, Morgan Stanley Smith Barney, Wake Forest University Hospital, and the Hospital Corporation of America. 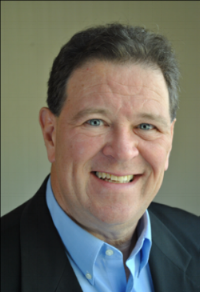 As a public speaker, he has presented leadership development topics at management retreats and strategic planning sessions throughout the Midwest, Mid-Atlantic and Southeastern USA. Lee brings over 20 years’ experience in Management Training, Employee Engagement, Performance Management, Succession Planning, Employee Relations and Conflict Resolution to bear for clients of Voltage Leadership.A native of Syracuse New York, Lee holds an MBA in HR Management from Upper Iowa University Fayette. Jeff: Welcome. So happy you could be with us today. You care listening to Illuminating Leadership and I am your host, Jeff Smith. So glad you could be back with us today. You’ve survived the debate last night, I know you’re ready for leadership tips. Talk about culture, talk about really positive things. That’s our goal for today. So, today I’ve got the great opportunity to be with Lee Hubert here in studio. I’ll tell you about Lee in just a moment, but what we’re going to be talking about today is culture and does culture work for you or does it work against you? You can either manage your culture or it will manage you. So, we should probably talk about that, and why is that so obvious but no one seems to get it right? So, Lee Hubert is a great friend of mine. He currently works at Voltage Leadership Consulting. He’s had a distinguished career. He’s a leadership coach, he’s a facilitator, a keynote speaker with over 27 years of experience in management training, employee engagement, performance management and conflict resolution. He’s served in human resources leadership roles with Fortune 500 companies including MCI, Wisconsin Energy, Morgan Stanley, Wakeforce University Hospital and the Hospital Corporation of America. He’s facilitated culture change efforts by managing strategic planning sessions throughout the Midwest, southeast USA. He holds an MBA in Human Resource Management, Senior HR certificates and lives at Smith Mountain Lake, Virginia with his wife Jane. In his off-duty time he plays guitar, he plays a mean guitar, and lately has taking up singing. He loves to play some golf and I’m sure he’ll be catching the rider cup here soon. So, Lee, welcome. Glad to have you here. Lee: Well, thank you, Jeffrey. Real good to be with you. Jeff: So, Lee, let’s jump into this. Culture. That’s sort of an amorphous word. A lot of people throw that word around, culture. Even in the debate last night they were talking about how we have to change the culture of the police or we have to change the culture of how we think in America. When you say culture maybe you can tell me what you think about culture and then I’ll share with the listeners what I think. So, what’s your definition of culture? Lee: Great question, Jeff, and everybody culture is in the eye of the beholder to a degree. I think about culture as collection of shared beliefs. The society contract, the societal norm. The way people come to understand how business gets done. Jeff: So, I think that’s fantastic. I like the way you’ve described it. That shared beliefs that’s something I know that will continue on throughout the show. I kind of tell it to my folks, it’s the way we do things around here. You know, so when you look around the walls you will see the way people talk to each other. Do we have casual dress or is this a culture where you have people dressed up in suits and ties? Is it the culture where the management speaks and the employees just listen, or is it a culture where we all kind of are in it together and we co-create together? Additionally, when you walk through a building you can get a real sense, are they all in cubes or is it open space? All of these things are part of the culture. So, if it’s so important and so many people talk about it, why do so many organizations at times ignore cultures that impact on their longer term results? So, it seems like they kind of talk about culture, but they don’t do anything and we agree that it impacts longer term results. So, why do so many people spend so little time talking about culture? Lee: That’s a fascinating question and it’s a good question and I’m glad you asked that because firms like ours, leadership development firms like ours, it keeps us plenty busy to help people to figure out the answer to that question. You’re right at every point. When you walk through a place there’s a vibe you get. Are the people making eye contact? Are they looking down at the floor? Are they communicating? Is there any happy factor at all, or is there stress in the air? So, to your earlier point, I think it is somewhat obvious, you would think, and there is a saying culture trumps, shouldn’t say trumps, I’m sorry, culture beats strategy every time. I think in the long term that’s absolutely true. So, when you think about your culture there’s an economic cost for not getting this right. There’s a bigger discussion on that, but it’s obvious, but why don’t people act on it? Jeff: Yeah, be careful on that word trump. He owns that word so it’s worth billions of dollars. Lee: It was completely innocent, I’m sorry. Jeff: So, I think, from my perspective what I see is culture is often not the crisis of the day, right? You know, culture is something that we can get to some other day. We can think about our values and we can think about our belief system another day, but there’s always a crisis de jour. There’s something that’s coming up today so it makes it hard. I was just with Power School this morning, formally the Interactive Achievement Company, and I got to tell you I was there for a meeting from about 10 to 11 this morning and I was very impressed. What they are working on, they are being very intentional about what was their communication pattern going to be? How do they reinforce the culture that they’re trying to get? What are they doing right? Then, they spent some time in the meeting having a conversation about, what is the best parts of their culture? How do they reinforce it? What are the behaviors they’re seeing? And making sure that they’re spending time on that. So, they took a half an hour of a business planning meeting to really talk culture. Do you think that’s normal or do you think that’s rare? I’m just curious about your perspective. Lee: Well, from the clients that I’ve interfaced with and some of the ones that you’re aware of I’ll describe it as the cultural operating system. When you come into meetings, are there unwritten rules? Are there expectations that have already been laid down? A lot of times the answer is yes and the innovative thinking and the culture that permits innovative thinking or new idea generation a lot of times goes begging. So, an answer to your question I think, it’s not the norm. I think as people become more stressed and as their time becomes more compressed and basically people are trying to do more with less the more that goes begging. Jeff: Yeah, I’d say that’s similar to my experience. The ones that I think are cutting edge are staying progressive and on top of things they take time to really work on culture. I know that you and I both like this model from change the culture, change the game. It’s a pyramid with these four slices. The results, the actions, the beliefs and the experiences. It comes from the book Change the Culture, Change the Game by Smith and Conners. You know, maybe could you just give us a sense of, what does this pyramid mean and these four slices of the pyramid? Lee: You wrote a book with Connors? Jeff: Stay tuned, there is a book coming. Probably spring of 2017, but this was some long-lost cousin probably. Lee: So, a different Smith? Lee: A likely story, a likely story. Well, thank you for bringing that up. Their work is excellent. It’s called Change the Culture, Change the Game. Roger Connors and Tom Smith, not Jeff Smith, they point to some key elements in, I think, three key elements. You’re eluding to their results pyramid. The others are beliefs and actions. So, envision this with me, there’s a pyramid with four slices in it. From top to bottom the bottom slice is what an individual experience is in their culture. By experience I mean everything we’ve talked about. The vibe of the place, the experience with their boss, the reporting relationship, their colleagues. Even their customers and the people that they’re serving. It’s foundation to a productive culture. The next slice up is the belief section, what an individual believes about the organization on the basis of what they experience really drives what their thinking is. The next slice up is the next logical continuation in that sequence, that’s the action slice. So, what I believe about my organization drives my actions which, of course, affects the top slice of the pyramid which are results. Jeff: Interesting. So, for me, one of the things that I’ve seen a lot, I use this as a customer service example, we have a poor customer service experience in our company so, what do we do? We go out and we say let’s get some customer service training. So, the problem with that is we’re looking for a new result and so we’re going to take an action, but the challenge is we never really get down to the beliefs and we don’t shape a new experience. In general what I’ve seen is people will go out and have this action and they’ll do this customer service training. They’ll bring somebody in and they haven’t changed anything because actually most of the time I see the customer service getting worse because the people that think that they need the training they go to the training. They’re already the good ones. So, now they’re worried maybe they’re not doing their best work. The two or three people that really are the ones that aren’t doing a great job think this isn’t for them, don’t particularly pay attention and then you’ve got some of the middlers like, why are we here at a day of training? I don’t understand it. So, we haven’t really gotten what I think you call below the line and to this beliefs and experience. Can you maybe give me just a little more on that? Lee: Sure. It’s almost a function of leadership, the definition of leadership. If you accept the premise that what an employee experiences drives their beliefs, that it influences their action and hence your results, you know, you would think the experience of working here would be a high priority, but a lot of times that isn’t what happens. People get pressed and there’s the culture for me and there’s the culture for you and sometimes they’re not the same, right? We’ll get into a little bit deeper dive with this in a while, but when you think about it, what’s it like to work here? Is it do as I say, not as I do? Is it you pretend to lead, we’ll pretend to follow? So, there’s something to that and in our time together today as our dialogue unfolds about the results pyramid, it’s called a results pyramid for a reason. There’s a big distinction to be made between what you just talked about which is kind of the command and control thing and it’s the short-term orientation versus the more strategic approach and the long-term. Jeff: So, this command and control I see this often. When I first came in the CEO is allowed to talk. Nobody else was allowed to have an opinion and it was kind of, do as I say. What’s the downside of that? I mean, that seems like it’s fast and it could be effective, but what’s the downside? Lee: Safe and effective when used as directed, right? So, think about it. Put yourself in your mind’s eye in a meeting you’ve been in and everybody in the room when the leader or the CEO or whomever walks in. They’re holding their breath. Lee: It’s like a scene from a bad movie. Are they afraid to talk? Have they been trained professionally by leadership unintentionally to pipe down because they’ve seen what happens to people who speak up? Absolutely an opportunity cost there because those people have ideas and those people are going to make the future of your company, but if they are clamped down on because of the “culture” you’re really paying a price. Jeff: So, I definitely have some leaders who are full of command and control and there are places where command and control is fantastic. As an example, if I show up to the emergency room I don’t really want folks standing around and asking a bunch of questions. So, please hear us when we say about culture command and control can be healthy. However, at the end of the week there should also be a chance where we can co-create as well. It’s command and control and how to engage our whole workforce. So, it’s just important to know what’s important in your culture and do you maybe have the time somewhere else in the week to hear from your employees? Lee: Command and control absolutely, to reinforce your point, at times it’s very appropriate and it’s necessary and it’s good. It’s less effective when it becomes a sort of cultural operating system that does the things I’m eluding to. That scuttles the honest intellectual interaction. Jeff: Yeah, so what I think we should get into is that we probably want it in certain doses, but we really want to maybe be intentional. So, I think as we go into the next segment here in just a moment we should probably pick up on, what are the beliefs and how do we go about really making sure that we are intentional about the behaviors that we’re looking for in the culture or the beliefs? What I would take from maybe this first segment is there is a results pyramid. Just doing a few actions won’t necessarily lead to a new set of results. Instead, we’re going to have to get below the line here and deal with beliefs and experiences. Okay, so when we come back from break, it’s time to catch up here on a break, when we come back in two minutes we will be picking up on the model as well as going into things like beliefs and shared experiences. So, we’ll see you in two minutes. Jeff: Welcome back and I am glad that you are with us today. We have Lee Hubert from Voltage Leadership with us today. Before the break we were discussing Change the Culture, Change the Game and where the command and control management style fits in the results pyramid. So, one of the biggest challenges I see, Lee, with our clients is around the breakdown of leadership communication including command and control. How might that breakdown impact results in the longer term? Lee: Well, I can tell you the breakdown of that leadership communication is one of the biggest challenges we see, including command and control. People who fail to understand this, unfortunately, that’s where most of their cultural efforts fail whether it’s a new initiative, or just trying to get their team to form at peak capacity. To perform as a performance team. You have to understand a couple of things and follow me here on this. Remember, envision the pyramid where below the line Connors and Smith talks about we’re at the experience and belief step. Ideally, it’s not a monologue when it comes to leadership. Earlier in the first segment, Jeff, you had mentioned about the style of top down and does it always come one direction? It can and it does all the time, but especially for the longer-term interest, strategic goals and really accomplishing things, that’s the key point and it’s almost the definition of leadership. There’s some management people that perpetually miss this point and it’s the key point at the bottom of the two slices of the pyramid by applying only command and control and trying to foster the “correct employee beliefs” meaning that they miss the point about how they experience leadership, right? So, if you say something to me like this, “You need to change your thinking. You’re not coming to work with your best ideas every day,” and I’m thinking, “Really? How would you know? You’ve never pulled me aside to ask me what my ideas are”. Now, all of a sudden out of the ether this top-down kind of unusual communication monologue comes and I’m being told I need to change my thinking. Have you asked me ever before why I’m thinking what I’m thinking? So, there’s something to that and it’s a little bit silly to expect people to just all of a sudden change or else, right? You’d better do this or else loosely translated that means the beatings will continue until moral improves. Jeff: Yeah, the ideal of the culture I don’t want to be working in. You know, I think that one of the companies that, actually it’s an organization, is a non-for-profit organization and what I really appreciated about them was they understood that they need to get a different set of results. There’s something called the anti-culture that I want you to expand on in just a moment, but what I would say was there was definitely this feeling of everyone else in the world has it easier than them. It’s just hard. Well, you’ve never worked here and if you worked here you’d be able to understand just how hard this is. The whole culture was sort of in the blame game, we in some other words call it the dreaded drama triangle, where there’s a victim, a persecutor and a rescuer. Well, we had that fully going on in that culture. So, that culture really was not about taking accountability. It wasn’t about creative solutions. It was really just kind of keeping your heads down and trying to duck and maybe keep a job and stay there for 25 to 30 years. To me that sounded a little bit like a prison sentence and a jail term, but people would stay because of drawing a pension or a check or whatever. Could you maybe continue that explanation on the anti-culture? Lee: Yeah, I’m really jazzed about coming to work here today because my prison guard and my parole officer say I’m doing a good job, right? There’s something to that. As Connors and Smith point out, the other Smith, not Jeff Smith, they point out it only takes three or four shared cultural experiences to form what they term a new cultural norm. You just verbalized it beautifully. You know, you set a cultural standard and people plug into that cultural standard. You mentioned the word anti-culture. Anti-culture is caused by a breakdown of leadership communication. Anti-culture is what you think it is and it sounds like this. You ask somebody on Monday morning, “How are you doing?” And this is what you hear, “Well, I’m here,” right? Or, “It’s Monday, how are you doing?” “Well, it’s almost Friday. Can’t wait to get out of here,” right? Lee: It’s hump-day Wednesday! Or the sarcasm off now, “I’m living the dream!” And I see heads nodding out there in the radio audience going “okay, I’ve done that.” So, you know who you are, but anti-culture is one of those things that re-enforces that cultural belief that leadership has failed to own. So, to my earlier point, if it’s one direction you’d better change your beliefs. Jeff: Yeah, that’s one I often use actually. So, CYA, so this is not to cover your you-know-what, this is Choose Your Attitude. So, maybe we can start moving into the direction. When you said one direction, I’ve got teenage daughters so I thought maybe you were talking about the band there, but I think what we’re trying to get to is, what’s the antidote to anti-culture, right? So, how do we maybe move to the shared culture and some ideas. So, for me, maybe I’ll go first on this one and give you a chance to collect your thoughts. Okay, so it’s to me about this thing called shared experiences. What we’re looking for is we have to understand the belief system that exists in our culture first. So, I’ll be with a group next Tuesday actually and we’re really trying to get our arms around the culture. They’ve grown very quickly. They’ve added people to the executive team. So what you’re really getting is these mix and match of cultures. So, we are okay with saying great, we love your talent, but there’s not this shared experience of culture. It’s kind of like I have a culture from this previous company, I work in this office and they’ve got multiple offices. So you go to this different office and there’s not like one shared culture. So some of the belief is one department is better than the other and one department is better than this so we’re going to work on let’s get to our core beliefs. Let’s all agree, first off, what the beliefs are then, we’re going to try to create some experiences to re-enforce those beliefs. So, as you think about shared experiences, what are some of your best practices and what do you think about shared experiences? Lee: Well, to your point, absolutely a function of leadership like any athletic team, even a football team. You can have great free agents that cost a ton of money, they don’t perform as a team, they don’t have a shared culture then they’re not going to win, they’re not going to perform at their peak which is what we’re talking about here. It’s very interesting. Shared culture is the opposite of silos. You hear the people talking about we’re not aligned with our mission and vision, and by the way that’s a leadership responsibility, and we’ll drill underneath that a little bit later and talk about, who owns that and the reasons why? But when you think about it, who sets the agenda? Who sets the pace? It is absolutely a function of leadership. So, if you understand the answers to some of these questions, right? If you were to be a fly on the wall and catch somebody in their hallway meeting on the way to the dining hall or their bubbler, bubbler, that’s a Midwest thing, water fountain. Jeff: Listener alert, this might be a time to take a couple notes. It sounds like Lee is getting ready to give us some really brilliant questions. So, if you’re listening out there this might be a good time to jot a note or two down with some of these questions coming up. So, go for it, Lee. Lee: Yep, please do jot them down. First question is, especially if you have somebody new and especially if a new hire walks into your culture and they ask the question, what’s it really like to work here? Yeah, I know I’ve been through the HR orientation and I’ve met people in the round robin, but what’s it really like and what do they hear? The answer to that question is a big one. Same way with your reporting relationship. In other words, what’s it like to report to you? What’s the word on the street? You’ll hear in different companies that we work with in different verticals healthcare, laboratory, finance, technology, all these different companies and verticals we work in the word on the street is at times you don’t want to work for this person or on that unit. This is what we’re talking about. What’s it like to report to your boss? Who do you report to managing up? What’s it like to work inside the walls of this organization? So, the honest answer to these questions could have a great strategic impact on your longer-term results. As we said, culture can beat strategy every time. You spend time with them. Get the answers to these questions. They will spend time for you. Jeff: Yeah, so what I like about this is that you’re really trying to get down into understanding what the employees are actually thinking. Lee: What a novel idea! Jeff: I know, that’s crazy! Lee: Why would you do that? Jeff: Exactly. For me, I go back to this formula, why do people join companies and why do people leave companies? And it’s the exact opposite. So, people join often because of the company’s reputation. They join for the job and ultimately, the manager. When I ran big call centers at Capital One you often didn’t even get to meet your manager. You went through training for 30 to 40 days and then we assigned you to your shift and your manager. What’s funny is you leave in the exact opposite direction, but you leave because of the manager then, the job, but really is it really the company? So, to me, what’s really important here that you were asking questions about is that the manager is really the keeper of the culture, you know? So, those questions that you’re asking you should be thinking about as a leader, what would people say about me? How well do I re-enforce the culture around here? How well do I shape experiences so that people can see that they’re valued? That their opinion matters and that they’re able to do their best work? Is the belief that my manager doesn’t really care about me, or is the belief that hey, no, I’ve got a really great manager and we may not see eye to eye on everything, but they are there and they have my back for me? Lee: Interesting. I would add one more point to that because you’re all over it. That’s absolutely right, and is the boss, manager, whatever the title, are they interested in hearing it? Have they been trained by their culture not to do that? Their culture may be completely command and control top down and it’s been that way for years and now you’re talking a foreign language. A lot of times when people have something to verbalize, they’ve got an idea or even a complaint if you want to call it that, something is causing some energy in their world and they want to bring it forward. One of the biggest things that we see, and I’ve seen in my HR practice over the years, is that people are reluctant to bring up problems so you are absolutely paying a price. So, if you keep bringing it up out of frustration or out of whatever your motivation is do that long enough you may get labeled inside this anti-culture as an issue, an obstacle. Do it long enough and it might be an obstacle that needs to be removed. Jeff: Oh, no. Yeah, we don’t want that. So, what I would take from this part of our conversation is there is an anti-culture and what we’re trying to do as leaders is to identify, what are the beliefs that we believe in here? Shaping some experiences so that we can really have it live the beliefs that we’re hoping for. So, the goal is, let’s identify the core beliefs, maybe listen to what the culture is saying and then, say, how do we want to craft our beliefs? Now, we’re going to shape some experiences to allow those beliefs to come forward. Ultimately, that should lead to better actions and better results. Make sense? Lee: It does, and I would well, I guess in the next segment we’ll talk about it. I want to add some more points. I think at the team level there’s a lot of stuff there. Jeff: Great. So, it’s about time for another break. When we come back from this two-minute break we’re going to get really down into the nitty gritty. Give you some tools, practical tips, just like those questions Lee just gave, but we’ll really get down to some practical tips for you to apply. So, stay tuned and we’ll see you in two minutes. Jeff: Welcome back. I am here with Lee Hubert today from Voltage Leadership Consulting. Lee and I have been discussing culture, the challenges of culture, how can we make our culture stronger? We’re going to now start to drill down into some practical tips and tools. I think Lee wanted to pick up a little bit on this idea of the team maybe mission and vision and values and why is that important? So, let’s maybe jump in from the team level first. Lee: Okay. Sounds great. Do you remember before the break we were talking about the results pyramid? In the four slices the bottom two experiences foundation then beliefs leading to actions driving results. Sometimes what people experience when they bring something up out of frustration or out of really out of a good idea doesn’t get heard. That’s really the number one reason people say in exit interviews when they leave, “I feel like I didn’t have a voice and there’s great things that I bring. You’re not listening to me”. So, they get treated as an obstacle and ultimately the anti-culture removes them. The opposite approach, and to your point about being practical now, is shared culture and that’s getting over into the whole person which you’re going to absolutely engage somebody and have an engaged staffed. I think it happens a lot of times at the team level. What is your team’s vision? You know your organization’s mission and vision. I mean, I’ve been in organizations where executive sessions or management sessions and I say, “Who can tell me their company’s mission statement?” And they have to look at their badge or whatever. It’s not the kind of thing it’s like a stop sign. You know it’s there, but it gets invisible after a while. So, we drill on you as the leader you are absolutely translating standing in the gap between the next levels up, you are influencing your team’s world and you are absolutely paramount pointing to them the future state. So, what’s your vision for the team and what are the values that drive your team? What do we believe about ourselves? Jeff: Great. So, I’ll answer this question first, but I want you thinking about this answer as well. When are leaders at their best? So, for me, I think you just hit on it. It’s when you are a great translator. You are a navigator of the culture. You can take the vision, the mission, vision, values of the organization, what are those big goals? You can translate it so that your team can actually fulfill. So, to me, it’s that ability to be a translator. To set some clear expectations, to be able to have folks that work for you believe that they can be in a conversation with you. They can trust you. That you’re authentic. That you’re sincere. Your head and your heart match. It can be easy in a lot of organizations to maybe say what’s right for me, the leader, but maybe not what’s right for the team. You know, I’d also say we’ll get into this a little bit in the section about tips, but is scheduling some time for development, for planning, some fun, some feedback, things like that. But if I only had to say one thing, the best leaders I see supporting the cultures are authentic. That would be the word I’d use, how about you? Lee: Authentic, wow. You said head and heart too. I think the best leaders that I’ve seen and the people that have grown into leadership roles sometimes when they’re thrust into it are the ones that understand their own default position. They have their own EQ, they understand what that means. Not everybody is wired the same way, and, as you know, when we get into various tools and assessments, we use DISC and a bunch of other things, not everybody is the same. For example, I’m working with this CFO who is brilliant. The way this individual, their default position, is wired is not all expository. So, people have a different experience from somebody who is really verbose or really driven or all that discussion, right? But, to your point, authenticity, I use the word integrity. If you want to create engagement and ownership in your team it comes from leaders who consistently create excellent culture for their team with integrity. Meaning, it’s transparent. I believe you have my back. I believe that you don’t have an agenda. I believe that you are sincerely interested in my development. Also, to your point, some of the tools that we’ll get into like behind the one on one closed door it’s not all monologue, it’s a dialogue and truly, sincerely I’m interested in you and your world. How can I grow you and make you better? Jeff: Well, wait a second, though. You mean, I should ask personal questions and care about that human being sitting across from me? I mean, come on now. That seems a little far-fetched and crazy for me, Lee. We certainly have clients that are that way. I shouldn’t find out anything about them and now you’re asking me to probe into their personal life, is that what you’re saying? Lee: I’m not necessarily talking about personal lives, but think of it this way, it’s your little work family, right? You know things about each other. You spend the lion share of your waking hours together. Sometimes people in firms we work with have spent more with their work teams than they have with their own families over the years. So, you know things about each other and there’s something to that. It creates what Connors and Smith are calling shared culture based on cultural experiences in common so there’s something to that. I think of it this way, Jeff, when you think of a wheel with spokes in it the outside dimension of the wheel is the organization. It runs efficiently and smoothly when the hub, the leaders of the organization, run their teams. Each spoke of the wheel is a team. So, follow me here, if the spokes of the wheel get to slack or they get too tight they break or they go slack the wheel starts to go clunk, clunk, clunk and the organization starts to head south. So, I can’t influence, necessarily, as the leader beyond my span of influence, but I tell you what, I can create the best team possible. I can create the best spoke possible and other people will look at my team and go, “Wow, what are they doing? What is that leader doing? I want to be on that team,” and you create your own message and people get that message. You know what? People like to be part of that. There’s something. There’s a winning aspect to that. It’s undeniable. Jeff: Fantastic. So, it’s not so much getting into their personal lives, but it’s caring about the person and trying to create the experience that brings out the best in each person. So, all the way back to our first show, I understand if you’ve got a driver, an influencer, supporter, calculator and how would they like to be recognized? How would they like to be rewarded, etcetera? So, maybe open up that door for me just a bit. What’s this one on one? I know what a one on one is, but certainly you and I have had one on ones together and all that kind of stuff. What are some maybe best practices? Because that seems like that’s a different experience that might create change, a different belief system. So, open those doors to that one on one for me. Lee: Absolutely and you’re all over it. If you’ve still got your pencils out from before here’s some more. So, think of it this way, when was the last time you had uninterrupted time with your boss? Jeff: You mean, this day of like this text and emails and messages and knock, knock, knock, do you have a minute? Lee: Hello, yeah. Eblin says you’re tethered 72 hours a week to your electronic device. It just goes with the territory, or if you’ve ever had the experience when you walk into somebody’s air space and you’ve got somebody’s attention or you don’t. What you have to say is important, but you’re not being heard. Remember, I eluded to earlier one of the primary things that HR people hear for leaving the company is they didn’t feel like they had a voice. They weren’t heard. So, behind the closed door here’s the one on one protocol. First of all, I want to find out what’s going on with you. Satisfiers and dissatisfiers. What’s your current state? Are you okay? Is there anything in your world that needs attention that for whatever reason it hasn’t been paid attention to? Now’s your time. Now, there’s a real caveat here where some people in the anti-culture will get behind that boss’ door and they refuse to participate. They roll their eyes and go yeah, this is an exercise. I’m sorry for them because instead of telling the one or two people that can actually help their world they run around behind the scenes in the anti-culture spreading their rays of sunshine to everybody who wants to listen to their tale of woe. So, what’s going on in your world? What’s your current state? Then, understand it’s a trust bridge that’s being built here. The more I do this and consistently I say minimum once a month, maybe more frequently depending on what happens, but things I want to know is, are your work flows okay? Do you have the tools necessary to do your job? Is there anything recent? Is there anything that I need to be aware of without drilling on your family life too much, but circumstances like life happens? So, then, I want to get to things like, okay, feedback from me to you and then also feedback from, get this, you to me. Me as the leader, is there a blind spot that I have to something that you think I’m not seeing? I’ll tell you, if that trust bridge is there you’re going to verbalize it. If the trust bridge is not there I’m going to smile at you, I’m going to nod my head and I’m going to say everything’s great. Jeff: So, from my end some of the one on ones I’ve seen best practices, I think you’re catching a lot of it. One of the questions that I ask often is, what’s our desired outcome together? Jeff: So that it’s a shared outcome. So, me as the leader in that one on one I maybe have some business things I want to make sure we get to, but I have no idea, Lee, what your day has looked like and you may have just been working on a proposal or just had a client issue or something has happened with Jane and you need to clear your head first. So, start with the desired outcome so you can then know what the other person wants to get accomplished. That doesn’t mean you only do the employee’s agenda. You have desired outcomes too as the leader. So, it’s a shared experience just like the culture, right? So, we co-create the agenda together. Then, to your point, I think we go through and we make sure you have the tools to do your job, making sure that there’s understanding. There should be recognition, right? So, thanks for a job well done. I know what that took and wow, way to go, and I really appreciate you putting your head down, contacting the right people, working hard to get this done, that’s fantastic. Lee: Wow, you’ve said a mouth full there. One of the things that I see in my HR practice and with our leadership development practice is a lot of times people they don’t feel their leadership understands what they actually do day in and day out. At times, they quote only hear when something goes wrong and then they get taken to the woodshed. Then, in the woodshed as they’re getting their switching their mind wanders to something else because in the back of their mind the person’s, and I see the heads nodding here again, they’re thinking in the back of their head, “You have no clue what’s going on here. What I do day in and day out and really the things that are going well”. Now, again, that’s that trust bridge, right? You also mentioned something about development and I’ll add performance management. If you do this well this practical tool you won’t get to the end of the year, or mid-year or whatever your timeframe is. You’ll know. You’ll know what’s going on. Jeff: Yeah, good. I think you said an important word in there as well, development. So, this isn’t just a transactional, what’s happened in the last two weeks? What’s happened in the last two hours? This should be a conversation about, how am I doing in my own performance, right? Also, feedback to the manager. So, one of the questions that I like to write down and ask all the time, so this is again one to maybe write down, is as the leader I ask the employee, what’s one to two things that I could do better or make your life easier what would those be? I also try to ask, what are one or two things that I’m doing that make your life better? So that I replicate it and I continue to do that, right? So, being able to have those kinds of questions and being able to really connect with that employee I think is a fantastic start. Lee: Yeah, and you’re all over it. I would add one question to yours and it’s great. First of all, if your boss starts saying these things to you they’re going to be going wow, this is great. I would ask, what are the one or two or three things that are distracting you that I can help with to take you back on focus? Jeff: Wow. So, I think the thing that might get us for the moment here is it’s time for another break. Jeff: So, when we come back we’re going to pick back up with this conversation around some practical tips and tools to wrap up the show. So, we’ll be back in two minutes, so see you on the other side! Jeff: Welcome back. This is Voltcast Illuminating Leadership and this is our last segment for today with Lee Hubert. We’ve been talking about culture and it’s been a lovely conversation. Kind of all over the place about the good cultures, the challenging cultures, and so we’re going to wrap up today with a conversation about maybe the best cultures we’ve seen and then some practical tips to walk out the door with, Lee. So, when you think about maybe the best culture that you’ve ever seen, what was the culture? We don’t necessarily have to know the place. Jeff: What was it about that culture that made it so strong so that folks out in the audience can replicate it? It’s much easier to take a good culture and replicate it than to go in and fix a bad culture. So, tell us about a good culture. Lee: That is a fabulous point you just said. I’d rather just have a good culture than having to go retrofit something. Best cultures that I’ve seen are the ones where, first of all, it starts with the leader. They are the hub of the wheel. They’re the spoke. The team is the spoke, the leader is the hub, and those leaders who are comfortable in their own skin and know their default position. Then, once that happens they’re willing to do what’s necessary to understand their team. That right there if you take the time because everybody’s busy and it is about the time you allocate. A lot of times the cultures that I don’t see functioning well are partly structural and they simply haven’t gotten that strategic quadrant to take the time to make their team excellent. So, I would have this challenge for those folks. I would say suspend the conventional wave your magic wand, ready to go to your future state. What does your future state culture which is absolutely the best it can possibly be look like, feel like, sound like and what’s your role in creating it? Now, I want you to think about the steps necessary, baby steps if necessary, work backwards to do that. The best cultures are the ones that communicate and the best cultures are the ones that trust each other. To our earlier point, I mean, it’s based on the experiences of the results pyramid. If I experience that you have my back and I see the integrity and you used a different word to describe it, but if I experience that then my beliefs are completely different than you do this or else and that goes back to old command and control. Jeff: Good. Thank you, Lee. So, I am thinking about interactive achievements. I’ve been working with John Hagmaier over the past week or so. We’re working on writing a book about the experience that have been since acquired since Power School, but this goes back a couple years ago and they had something called HUG, so it’s really about being honorable, unselfish and generous. Lee: I was in a group hug, is that what you’re talking about? Jeff: No, no, no. We did hug occasionally there, but Honorable, Unselfish and Generous. Here’s what I would say is that they should have experiences that re-enforce that. So, it’s one thing to put that on the wall. It’s one thing to say that, but they go and do things like get backpacks for underprivileged students. So, a lot of this company were former teachers but now they’re running a business. So it wasn’t good enough just to say it, they did a ton of community work. They had time on their calendar to actually go out into the community and support the underprivileged or the kids that need a little help. They have a coding camp where they teach kids to be able to learn how to code, to give them a leg up. So these are all experiences that shape the belief system that hey, you know what? It’s not just good enough to say these things. We believe we have to do it. If we say that we’re in this for the kids we have to live that we’re in it for the kids. So, shaping experiences. My final thought on that too was they want to be able to have fun. They want to be able to do a lot of really good things so they want to make sure that there was ability to hear each other do things. So, one of my favorite times is they have an atrium and we go over every March and they have a March Madness and they give away prizes, generous prizes, but there’s also this comradery and this ability to be together and to laugh and have just this thing called fun. Lee: I’m sure there’s an acronym there. Jeff: Yeah, so it really creates the belief that they matter, that their voice matters. It makes it a whole lot easier for them to be able to really connect with their customers as well because they felt that they are believed in and that they are supported. Lee: That’s really awesome and I’ll add onto that from the point of view that the leader driving the team and, again, this is at the team level. This is so important. What is the team’s vision? I know what the organization’s vision is to be this or that or the other thing, but what is our where the rubber meets the road daily contribution to that? In other words, is the leader leading and are they setting the pace for that? The second big thing for that are the team’s values. You know, in HCA we’ve done this, in Wisconsin we’ve done this, in other places in verticals. Healthcare, finance where we ask people, what are the things that your team believes about itself? Meaning that, is it safe to speak up? Is it okay to be supportive and to understand people so we understand the rationale for behavior sometimes? So, when we look at accountability and things of that nature it’s a two-way street. Jeff: So, let me ask you this as we’re coming up here towards the end. I think you’ve given us just brilliant stuff about culture. I really appreciate you being here today. Jeff: Yeah, so maybe just a couple practical tips. So, again, maybe take out your pen. Write down a couple of the things here, you know, from today. So, I heard about the effective one on one that I really liked, but what else would you say are the key takeaways from Change the Culture, Change the Game, your experience working with culture, etcetera? Lee: Well, I’ll tell you one of the things that we really want to talk about is to provide shared experiences. We all have a culture. Either it’s going to manage you, or you’re going to manage it. The leader communication is really the cause of a breakdown of that communication is really the problem with leadership in cultural failures. It really is all about the shared experiences. If you’ve got somebody that’s not performing you manage them up, or you give them the opportunity to work elsewhere and at times that’s very appropriate. Then, don’t forget about recognition. I mean, we talked earlier about we hear about things going wrong, tell me about when things are going right and understand my world, know what I do. Then, probably the biggest thing is you spend some time with them, they will spend some time for you. Jeff: Wow. That’s fantastic, Lee. It’s been fantastic having you here today. Lee: My pleasure. Great to be here. Jeff: I know you’re going to come back here in October and be able to have another conversation with us to we’ll be looking forward to that. Jeff: A couple takeaways from my perspective is the value of the one on one. That really shapes the experiences. Also, that team environment, you know, really have a great team meeting. Be able to have shared mission and vision at the team level. Be a translator. Make sure that you’re also doing recognition just like you said, but it’s also recognition of peers. Recognize your manager. Boy, that’s all about, how do you shape your culture? By doing those things you start to have this belief system that everyone’s opinion matters around here. Hey, we’re not talking Pollyanna-ish, you also have to share tough feedback, but do that with the intent of saying I’m trying to make you better so that we can have better performance as an organization. So, it’s not all just roses and sunshine and unicorns, right? Lee: No, not at all. The real world is nothing like that. I would have a question for the people still writing things down. Are you too busy to do this and if so, why? Jeff: Yeah, why are you too busy? So, that is a great lead-in to next week. So next week Scott Eblin who is the author of a book called Overworked and Overwhelmed, that describes many of us, and we’re going to talk about the mindfulness alternative and how can we create a life GPS? How do we go about being able to really find the time to do the important things not only in the work setting, but also in the rest of our life? Life is way too short to go through this thing like you talked about. Oh, gosh it’s Monday, I’m back at work and it’s hump Wednesday and oh gosh it’s fantastic Friday, living the dream! Life’s too short. So Scott Eblin will be here next week. Scott is the author of at least two books, is an executive who works with coaches. He’ll be here to help give us some solutions to this overworked and overwhelmed thing that we talked about and where we live into that 72 hours of staying connected all the time. So, I hope that you’ve found a few tips this week about culture and next week we’ll give you some tips about how you can be at your best self. So, again, thanks for being here with us. You can reach us at area code 540-798-1963. You can also email me at Jeff@VoltageLeadership.com, our website is www.VoltageLeadership.com. You can like me on Facebook at Voltage Leadership, you can like Lee there as well. You can connect with me on LinkedIn at Jeff Smith Voltage Leadership consulting, follow me on Twitter @JMUJeff and you’ve been listening to Illuminating Leadership. Thank you, and so happy you could join us today. I look forward to talking with you next week again at 1 PM Eastern Standard Time and we will have Scott Eblin here to talk to you about Overworked and Overwhelmed. In the meantime, have a fantastic week! Take care.